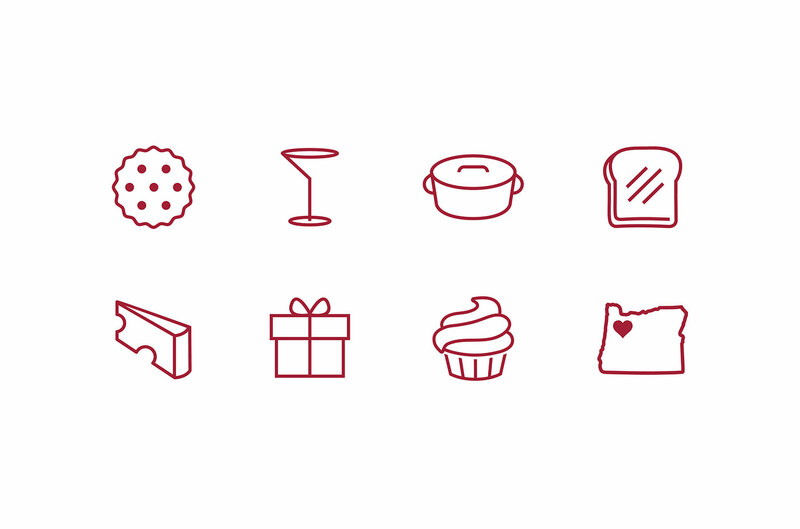 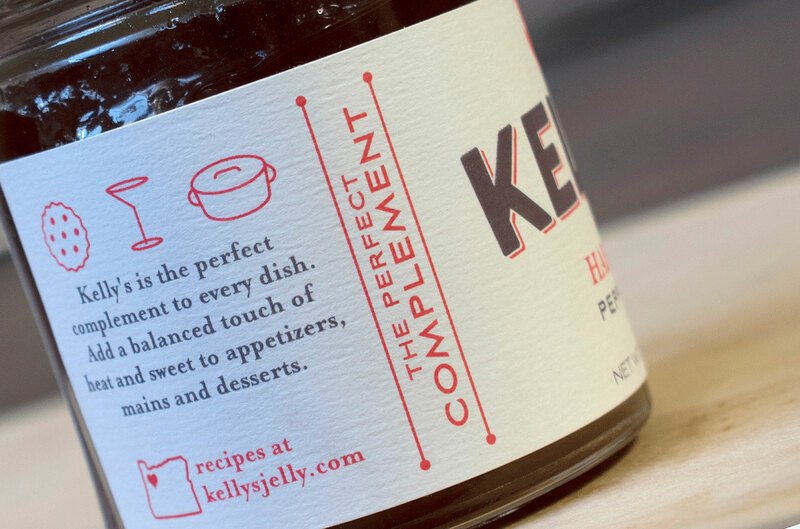 Kelly’s – Flint Design Co.
An origin story like Kelly’s Jelly is a gift in itself. 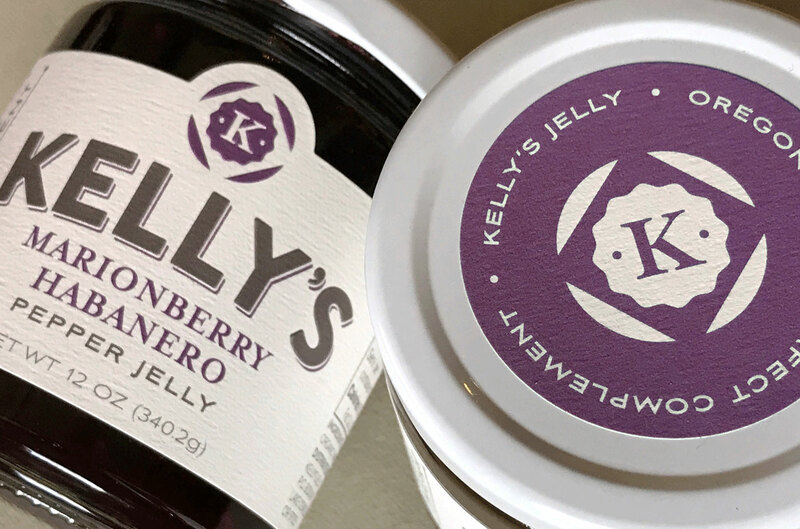 Now a staple of farmers’ markets and specialty food stores, the brand started as a treasured holiday present for friends and family. 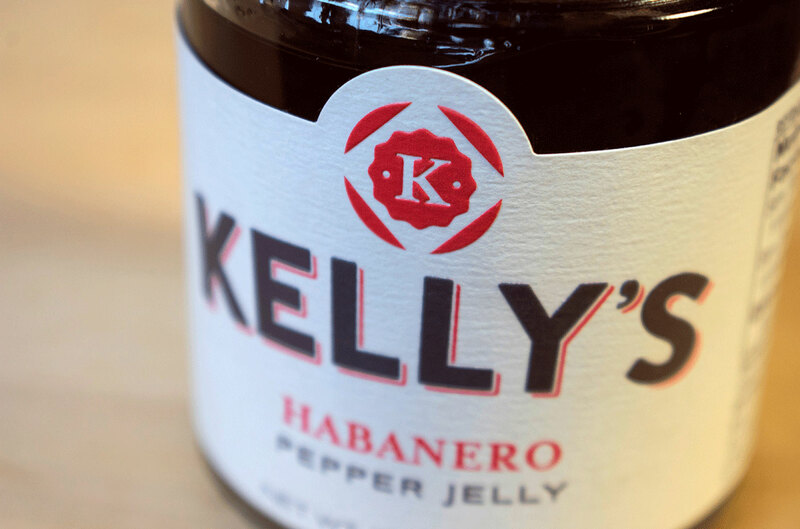 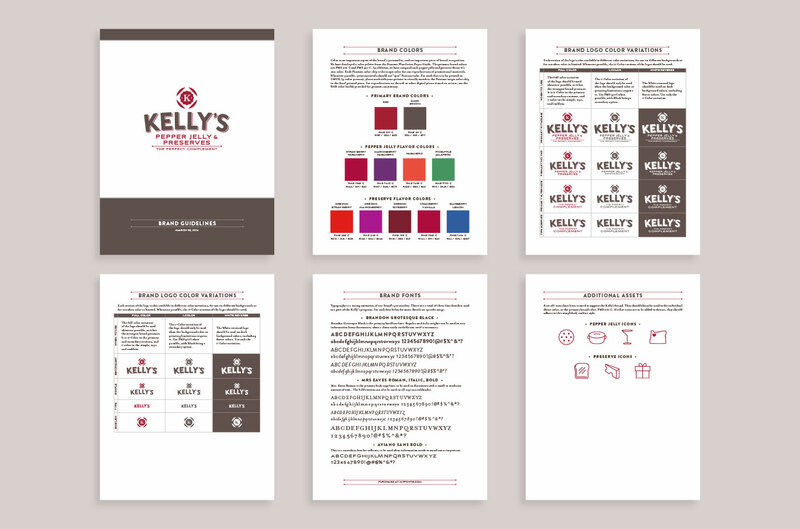 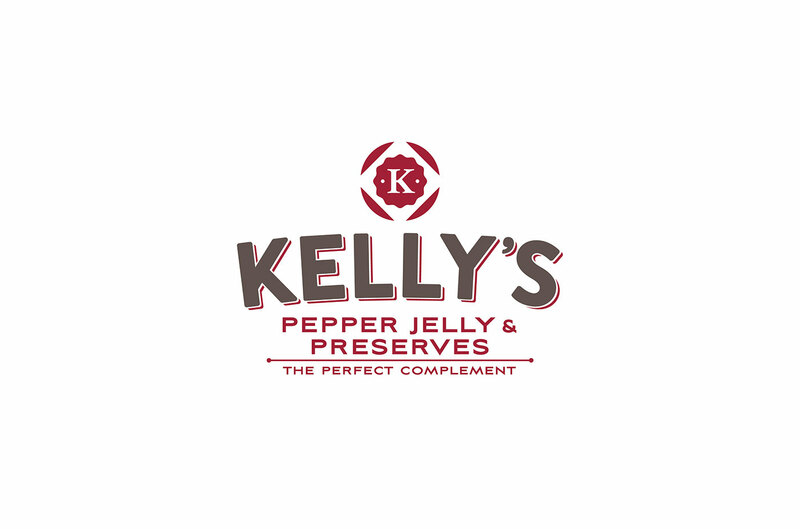 To elevate its identity outside of Portland, we knew we’d need to preserve Kelly’s sweet history while showcasing a subtle, modern kick worthy of their pepper jelly. 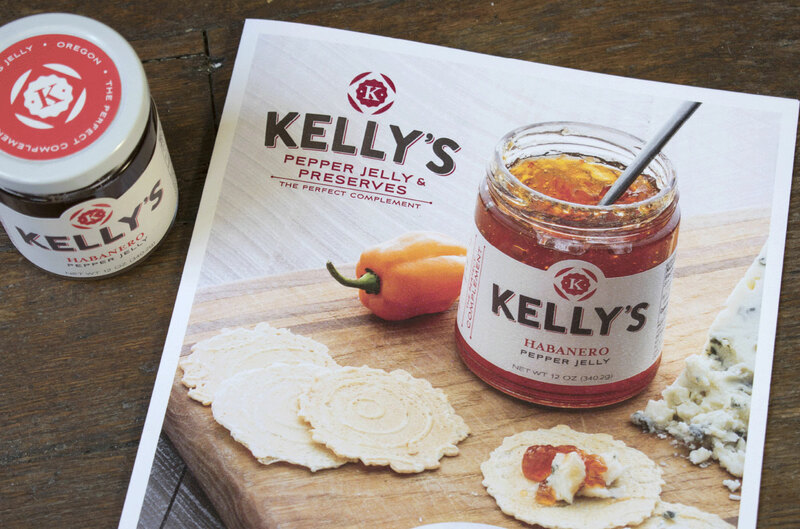 Maintaining the feel of the simple, clean packaging Kelly started with, we looked to reflect the versatility of the premium, small-batch product as the perfect pop of flavor to cheese plates, sandwiches, entrees, desserts, even cocktails. 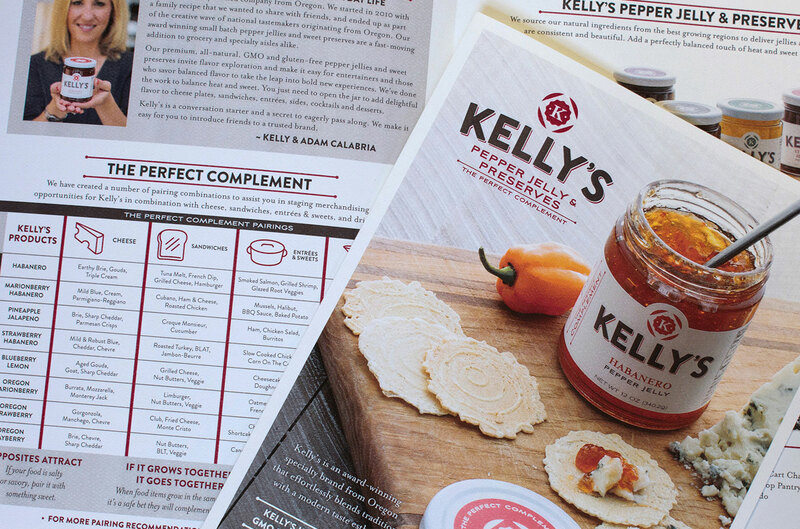 The result: A friendly logo, labels with bright pops of color representing the variety of flavors, and icons that illustrate taste pairings, organize recipes, and make it easy to add some life to your pantry.